Cyrsti's Condo: How High or Low can You Go? How High or Low can You Go? Liz was discussing with me my Cyrsti's Condo post about the socialization similarities between cis and transgender women. I'm paraphrasing here, but she said she thought many cross dressers and/or trans women don't understand the seriousness cis women grow up with, when life comes down to appearance. How a whole day can be ruined when an outfit is under appreciated. On the other hand she agreed with me when I brought up how good we can feel the moment we sense everything has come together and we look the best we can. She also said, most cis women pass through a certain time of their lives when they are sure they look their best. But, as time passes by, the cis woman has to rely on other features to make them still feel attractive. That's why, I do my best to take care of my aging skin. If you are on a budget and have an "Big Lots" store nearby, they sell cosmetic facial wipes for around a dollar a pack (30 wipes.) My personal faves are the "green tea" wipes. They do a fantastic job of removing all my makeup and deep cleansing my skin. Older picture with shorter hair and old glasses. Plus, as you have all probably read, I try to walk everyday for all the benefits it can provide-including the all important weight control. I figured long ago, if I was seriously considering playing in the girls sandbox as a transgender woman, I needed to start to work at it. Sometimes I wonder, when someone says they "cannot pass", are they working hard enough to do it. Very, very few of us can naturally head out into a feminine world and be successful. I also tell everyone to not necessarily become enamored with all the pictures you see on the web. 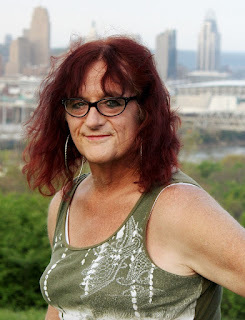 The best looking cross dresser - transgender woman in the world can not make it as a trans woman if she walks and talks like a linebacker. In fact, Liz says "I'm such a girl" when she out cusses me. On the other hand she is always telling me I have a problem with my posture. It's like everything else in life...highs and lows are part of existence. Just head on back to the drawing board and do better. No matter what age you are or how you perceive your appearance. It doesn't matter how much time I spend on my make up and clothes I will still be a 5 10 12 stone ex rugby player with a decent pair of shoulders, I think it is more about attitude. How one relates to others, posture etc. etc. Perhaps more to the point when one feels and behaves as a woman acceptance is more likely, or to put it another don't be a bloke in a dress!